Last week, one of Europe's largest diving exercises took place outside Orust. Over 100 divers from six countries in the Baltic region have practiced on the scenario that a ferry disaster has taken place in the Baltic Sea. The exercise was conducted in the DiveSmart Baltic project, which the Swedish Institute partly finances. A ferry of 1,400 passengers has rolled over and started to collect water outside Svanesund on Orust. 200 people are still being trapped underwater and waiting to be rescued. This accident scenario has been practiced by nearly 100 divers from six countries around the Baltic Sea – Sweden, Finland, Denmark, Poland, Latvia and Lithuania. The background to the exercise is the loss of the cruise ship Costa Concordia off the coast of Italy in 2012 when 32 people died. One of the rescue leaders from there came to Sweden to share their experiences. In connection with this, it was found that other countries around the Baltic Sea were also not prepared for a major ferry disaster in the Baltic Sea. The Swedish Coast Guard then sought funding from the EU program Interreg Baltic Sea Region Programme, together with organizations in Finland and Poland, and launched the DiveSmart Baltic project. “Unfortunately, we did not get funding to include Latvia and Lithuania at that time,” says Else Timms from the Swedish Coast Guard, but instead we could get funding from the Swedish Institute to get those countries into this important training mission. 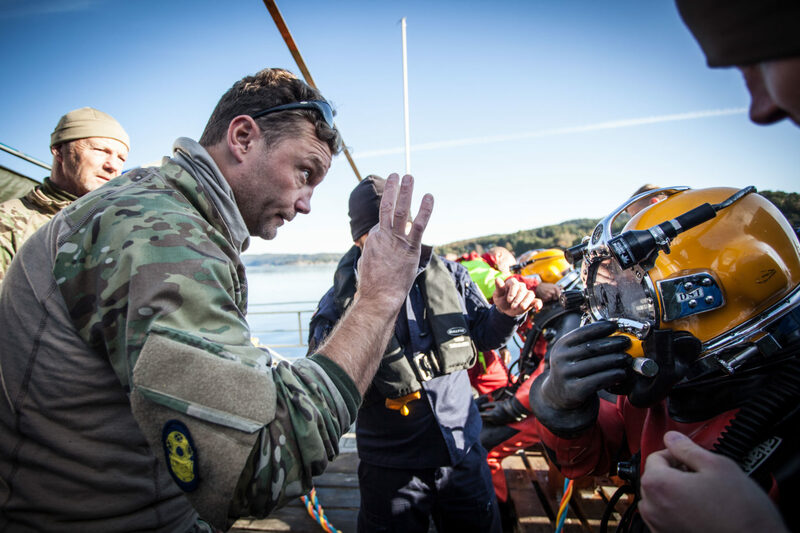 The EU project DiveSMART Baltic is led by the Swedish Coast Guard and aims to increase the ability to carry out operations with rescue divers through cooperation, training and coordination of dive resources in the countries around the Baltic Sea. 18 organizations and companies from 8 countries participate in the project, financed by funds from the Interreg Baltic Sea Region Programme, the Swedish Institute and the Swedish Civil Contingencies Agency. The DiveSmart Baltic project is a so-called flagship within the EU Strategy for the Baltic Sea Region and is considered a very important initiative for the Baltic Sea’s preparedness for maritime accidents. The Swedish Institute supports the Latvian and Lithuanian organizations participating in DiveSmart Baltic through the seedfunding provided for cooperation in the Baltic Sea Region. The next call will be opened in November and closes on February 13th, 2018.